If Paradise exists on Earth, it is in Capri, for me at least. In just a few square kilometers, far from the continental frenzy, Capri conciliates and magnifies History (both big and small), splendid Mother Nature, urban pleasures, local handicraft, culinary arts and absolute kindness, basically the dolce vita you dream of. Because Capri is a sweet dream. If possible, instead of landing in the early morning to visit the island in a breeze before leaving on the very last boat, just take the time to enjoy Capri. 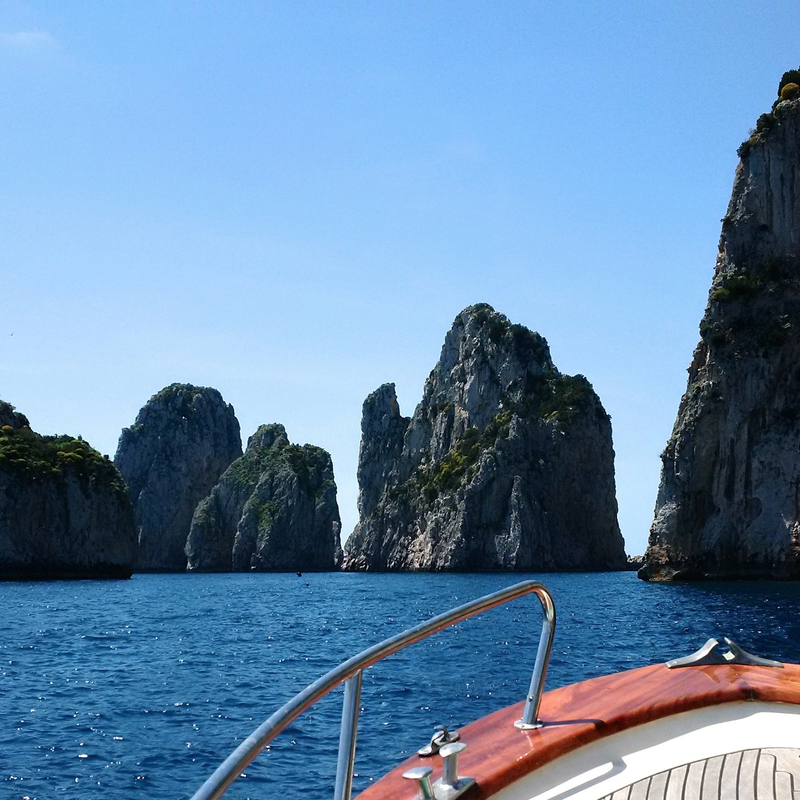 Capri is meant to be slowly savored, with delectation. The slowness which enables you to randomly discover a fashion designor, who thinks and creates every single piece with love, Michele Esposito, from Laboratorio Capri. The slowness which lets you, once the continentals gone, to quietly enjoy a Limoncello at a terrace. The slowness which allows you to discover, at the end of an hour long breath-taking walk (in every way: Mum please take me in your arms! ), the incredible sight of the antique Villa Jovis or the modern Villa Malaparte. The slowness which enables you to rent one of those retro little boats for a few hours, to discover, far from the crazy crowd, the incredibly colored sea caves. The slowness which allows you to enjoy the warm welcome and kindness of each person around. The slowless which makes you understand, at least, why Jackie Kennedy (whose sense of style is undeniable) was sooo in love with this island.